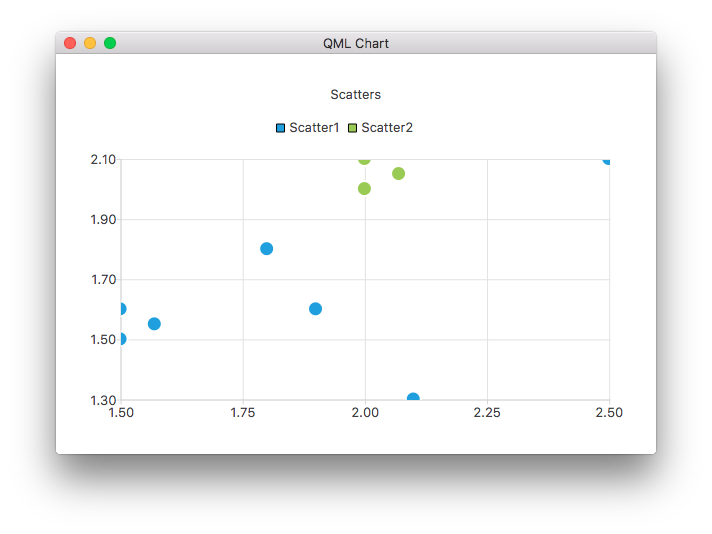 For more information, see Qml Charts Example. The color used to draw the marker borders. The width of the border line. By default, the width is 2.0. The name of the file used as a brush for the series. The number of data points in the series. ScatterSeries.MarkerShapeCircle The marker is a circle. This is the default value. ScatterSeries.MarkerShapeRectangle The marker is a rectangle. The size of the marker used to render the points in the series. The default size is 15.0.